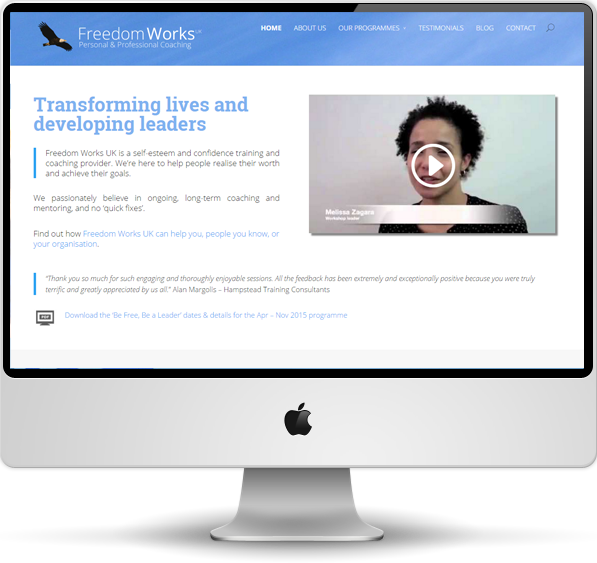 Freedom Works UK is a London-based confidence and self-esteem coaching and mentoring organisation. It offers workshops and long-term training and mentoring programmes to help participants overcome personal and professional obstacles and achieve their individual goals. The Freedom Works UK website is an example of our BlackboxFlex product – along with responsive design that adapts to suit the device that the site is viewed on (i.e. desktop, tablet, mobile etc), the site incorporates YouTube and social media integration, blog functionality, video testimonials and more. You can see the live Freedom Works UK website here.